← How to Convert Any Video File to Other Video Format Freely? Wonder how to convert and transfer movies to your Portable devices, HDTV and HD Media Players for watching? Here are going to talk on the details of the supported video and audio formats for various HDTV you can take a good reference. After that, you can know the best video formats not only for watching, but also for editing in NLEs or uploading to webs. 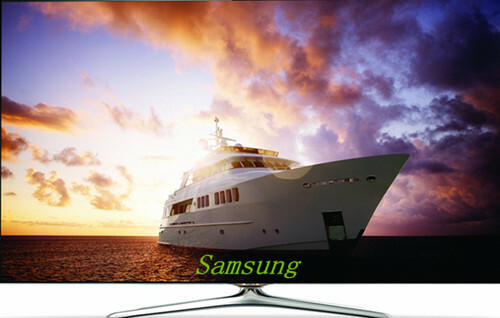 Samsung HDTVs: Almost all of Samsung’s newer televisions are “smart”, starting with the 5500-series models and expanding upwards. You get Samsung’s “smart hub” homescreen, plus a good web browser and a wide range of apps, including all the major UK catch-up HDTV services. Common video formats supported: MP4, MOV, M4V,AVI, MPG, etc. LG HDTVs: LG now offers two flavours of Smart TV – its legacy “Netcast” platform and its new generation of smart TVs powered by webOS technology, previously used on mobile devices. LG’s new webOS smart-TV service is better designed. You get a “launcher” bar at the bottom of the screen that allows you to quickly jump into things like the TV guide, apps or the web browser. 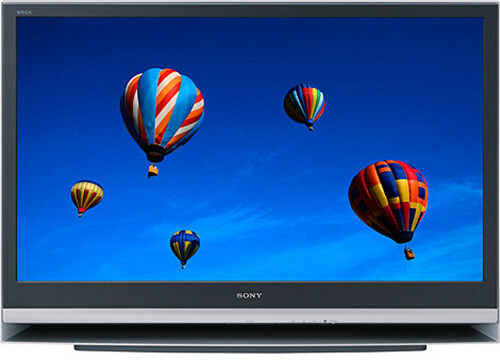 Sony HDTVs: Sony has announced that all its 4K TVs and some new HD TVs will come with Android TV in 2015. Based on Google’s popular operating system, this smart-TV service features apps, games and other internet services presented in a colorful and accessible user interface. Supported and output videos: MP4 is the main role. Other formats like AVI, MPEG, M4V, WMV,MOV are also available. Panasonic HDTVs: Panasonic’s HDTV service was a bit of a late developer compared to LG and Samsung, but it’s now competitive with the other brands. Panasonic’s big feature is homescreens that you can personalize to your tastes with your favorite apps, shortcuts and even decoration. Suitable video formats: MP4, AVI, MOV as the common ones can be accepted as before, on the other way, the H.264, MPEG are expanded well. For Audios: Due to these HDTV has upgraded and caught the hot stream of the digital industry, ordinary audio file formats can almost be adapted just like M4A, MP3, WAV, OGG, AC3 or even the 5.1 channels. How can we watch those incompatible movies on HDTVs? Though those HDTVs mentioned above can bring us the high definition image enjoyment, for some unsupported videos, we may need some video tips, right? Why not have the Pavtube Video Converter as a try? 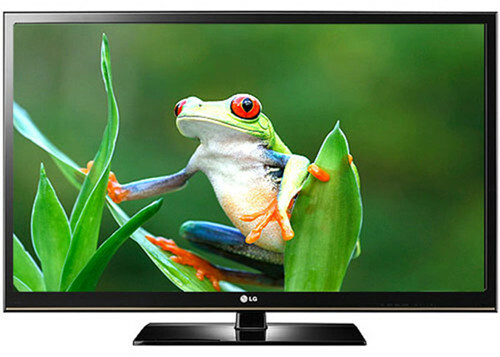 Here for any kind of HDTVs, we are going to offer you’re the suitable video formats as outputs. 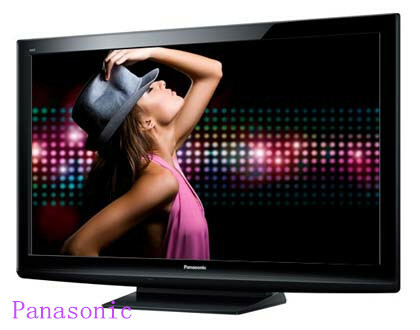 What’s more important, this HDTV video converter has the capacity of setting and adjusting the output movies. Such an easy operation job I think you won’t miss them well. Firstly, download and install this HDTV converter, then open the main interface on your computer. ‘Add videos’ and ‘Add from folder’ are two buttons you can load your original files in. 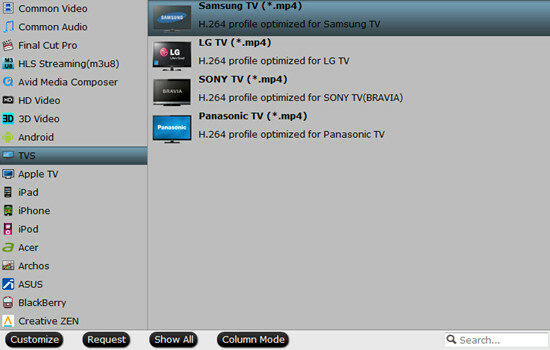 Next, come to the output list, here you can choose any suitable ones for Samsung, Sony, LG or Panasonic HDTV supported ones, etc. Optional functions you can also take a reference, on the main interface we also suggest you to go to the ‘Settings’ or ‘Edit’ to adjust the video or audio items. For example, set the video size, bitrates, frame rate or even the audio channels etc. Or after the conversion preparation work, we can hit the big button ‘Convert’ to get it started. According to the detailed instruction, no matter for any videos, let’s just enjoy them on HDTVs! For more related articles, why not read the following pages for more? I used the version 4.6.0 for a long time before i upgraded to version 4.8.5.0 now. The look and feel is better and the results and speed, too. I like the new feature: H.265 and XAVC. thanks. Best option to convert tutorial video files from one format to another for watching my HDTV, it is simple and fast to use. Really fast conversion speed, doesn’t change the video quality and supports almost all popular formats.